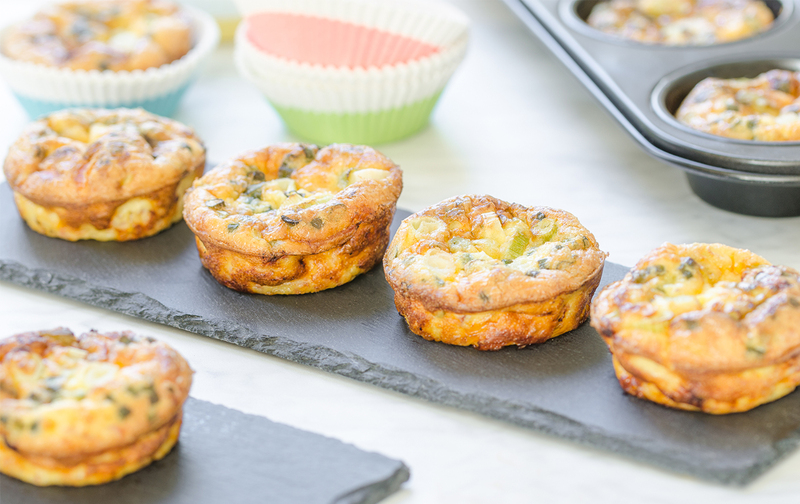 These egg cups are perfect for a healthy breakfast on the go! Other optional ingredients: mushrooms, peppers, diced ham or Canadian bacon, sprinkle of cheese, etc. Once cooled, place a daily serving (2-3 muffin cups) into individual resealable containers so they are easy to grab each morning. Simply reheat your daily serving in the microwave for about 45 seconds. Easy, yummy AND good for you!